Catholic Stewardship is a way of living as a disciple of Jesus Christ by recognizing that all we have is really a gift from God, not the product of our own accomplishments. We have a need to return a generous portion of His gift to us by sharing our time, talent, and treasure with others. So Catholic Stewardship calls us to develop a need to give, rather than merely giving to a need! A stewardship parish is one where the pastor, parish leaders and staff seek out and support parishioners in their involvement in the ministries of the parish, while encouraging them to develop a closer relationship with God. They regularly invite parish members to take part in existing ministries and warmly welcome suggestions for new activities that will help to expand the opportunities for all of us to use and share our God given gifts. It is the responsibility of a stewardship parish to provide an abundance of activities for individual and group involvement, within and beyond our parish community. None of us has ENOUGH of it. All of us want MORE. How much time do you set aside for God? Yourself? How about time for family and friends and those in need? Make the most of your time by following in the footsteps of Jesus. Give a senior citizen a ride to Mass, collect food for the needy or visit a shut in. Most of all make a commitment of your time. We are all blessed with talents by God—-you just may not have discovered them yet! Search out those talents, nurture them, and then share them with others. Do you like to cook? Then maybe you can prepare a meal when a family is in need. Do you enjoy being with young people? Then maybe the Youth Ministry is for you. There are many opportunities here at Annunciation of the Lord Parish to express your talents and explore new ones for the betterment of our parish family and for the community as a whole. How much do I have to give?” The answer (from a stewardship perspective) is nothing. We don’t have to give anything. 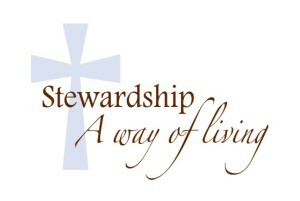 “How much do we want to give?” is the question that stewardship asks. Stewardship is not minimum giving. It is maximum giving. That means giving as much as we can, as often as we can, from the heart. Money and all the things we possess are gifts from God that we are asked to care for and generously share for our own benefit and the good of others. We have many ways in which you can contribute your gifts of time, talent and treasure.